Okay I finally caved and started a blog! I hope to be consistent and post often. 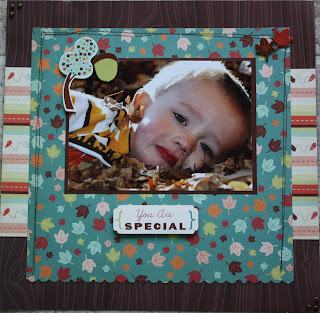 The page below was one I created for a challenge at my LSS. When I saw how well this picture I took turned out, I knew exactly what I wanted to do. I have recently fallen into the sewing on pages craze, and I must say that I am totally hooked!